Welcome to the adventurous and speedy world of longboarding. For newbies, longboarding is a challenging term to learn it. But don’t worry, it is challenging, not very tough or impossible. So, how can you learn longboarding and make yourself as an expert rider quickly? Let’s help you to find the answer. In this tips article, I’ve provided few important tips for newbie longboarders to ride it quickly and safely. If you follow the provided tips and suggestions of this article, you can learn more about this ride which may help you to learn it quickly. So, let’s start. 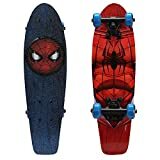 What is the difference between longboard and skateboard? Hope you may know the answer, but let me clear it again. There is a little but significant difference between longboard and skateboard. Longboard is the bigger version of a skateboard. Skateboard which is larger than 31-Inch is count as a longboard. 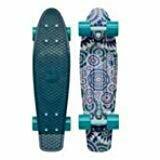 And longboard is specially built for speedy riding so the wheels and bearings are also bigger than skateboard wheels. Before starting with a longboard, it is better to know about the longboard riding styles. There is four different longboard riding style which is popular among the riders. Let’s know a little bit about them. Downhill: It is the most thrilling and adventurous longboard riding style. You can feel the speed of riding by bombing through the hills by this riding style. You can know more about it from here-“how to ride downhill on a longboard article?”. Cruising/Travelling: This riding style is followed by most riders. It is the easiest riding style to learn. 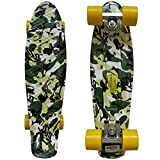 This style is used for skating around parks, footpath, street or going to campus. But it is only easy if you want ride gently around you. But, if you want to cruise around by doing slides and tricks, it is a little difficult and need practice. You can learn details about it from this article-“How to cruising and carving around with a longboard?”. Freeride: It is a tough riding style and you need to be an expert rider. Freeriding means cross the hill with a high speed by doing tricks and slides. It is an advanced level riding style and needs to mastering the previous 2 riding styles. You can learn details about it from here-“ Learn Freeriding with a longboard?”. 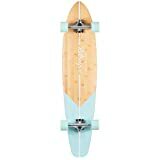 Which type of longboard is suitable for a newbie rider? Hope you have got a little knowledge about the riding styles, Now you should purchase a longboard to start riding. 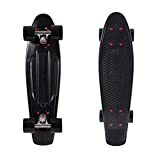 Now, which type of longboard should you purchase to get the safest and perfect riding experience during the learning process? Let’s help you to consider. Longboard is available from 34-52 inch long size. If you purchase a long size board than your height and body fitness, it will be difficult for you to control the board as a beginner. 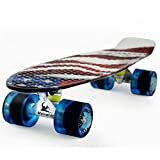 So, purchase a small size longboard according to your body fitness to get better control. 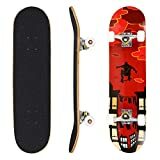 Make sure that the longboard deck contain high-quality and coarse grip tape. 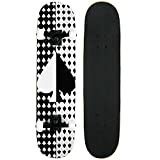 The grip tape is replaceable so you can replace it if you want to add another one. Before purchasing, look after about the wheels and bearings. Make sure that the wheels and bearings are not so fast. Choose soft wheels and ABEC 5 or 7 rated bearings to get an average speed so you can control the longboard perfectly. The wheels and bearings are affordable and you can replace the wheels and bearings to get fast speed after becoming an expert rider. Make sure that the trucks are lightweight and contain kingpin or reverse kingpin. This feature provides more control and stability. Longboarding is a risky ride and you can get seriously injured anytime. So, no matter what you are a beginner or expert, you must need to wear safety gears to protect yourself. You can get better protection if you wear all of the safety gears. But, if you haven't enough budget, you must need to purchase the helmet, wrist guard, slide gloves, elbow and knee pads. These gears are mandatory to get a safe longboarding performance. · How to ride on a longboard? · How to stop a Longboard? You can also watch youtube videos and search google to get more information. Try to learn it from any expert rider if possible. It is the better solution to learning easily. Wear the protective gears and go to any calm street or any concrete yard nearly you. 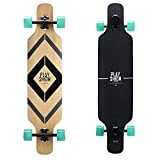 Place your longboard on the ground and try to ride it according to the instructions you have got from our website or others. You may fall off from the board, but keep practicing. Finally, keep practicing, practicing and practicing!!! If you follow the instruction properly, only practicing is the last thing to make yourself as an expert rider. I love longboarding very much. I love downhill. Carving is thrilling. Your tips will help me a lot. Thanks.